Ambitious realtors wanted. Are you ready to learn how to make a living selling real estate? With nearly 70 years of real-world sales, we have the insights to teach you how to make the deal happen. If you think you have what it takes then please get in touch with our recruitment director Trish Murray for a confidential chat. This could be your first step towards a very successful future. The next wave in real estate is here! 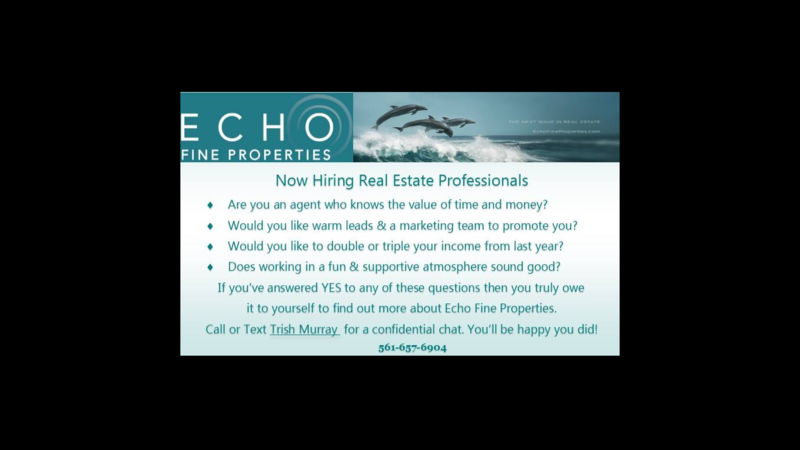 Posted in Echo Fine Properties, Jeff's Team, job offer on October 5, 2017 at 5:25 am. Happy Birthday Heather E Towe!